You want the best breast implant results, right? Choosing a board certified plastic surgeon is crucial for your safety and the quality of your results. But what actually is a board certified plastic surgeon? What is the American Board of Plastic Surgery (ABPS)? The ABPS is an independent, nonprofit organization that assesses and certifies a surgeon’s ability to perform plastic surgery to the highest standards—safely and effectively. The ABPS is one of the 24 different specialty boards that is recognized by the American Board of Medical Specialties (ABMS). The ABMS began in 1933 when representatives from pioneering specialties and physicians, hospital, education and examination groups established national standards for physician certification. They created a uniform examination process as well as advisories and councils. These national guidelines and processes provide standards that physicians can aspire to and meet. Why is ABPS certification important? Getting certified by the ABPS is voluntary and it means the surgeon is truly dedicated to providing the highest standard of care. When a surgeon is ABPS certified, they are committed to continuing their education. 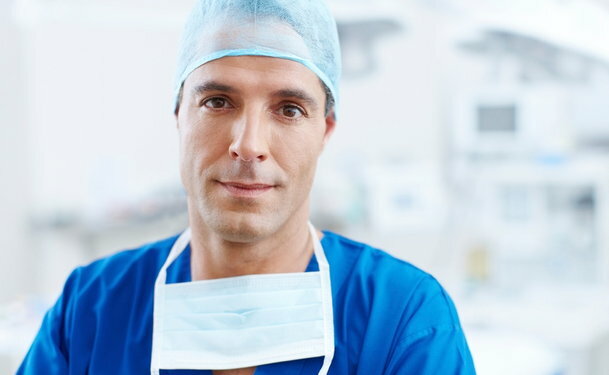 Medical care is always advancing, so your plastic surgeon should continuously improve their knowledge and techniques. ABPS board certification lasts ten years, so surgeons need to reapply and pass the latest exams to maintain their certification. This means they have to stay up to date with current techniques and best practices. If something goes wrong with your breast augmentation (a scary thought), you may need to get care in your local hospital, but does your surgeon have hospital privileges? Hospitals only allow doctors to practice in the specialty that they’re certified in. If your surgeon isn’t board certified then they can’t continue to care for you in the hospital. How does a surgeon get board certified? For a plastic surgeon to become board certified, they must first graduate medical school and complete their residency training in plastic surgery. Is my plastic surgeon board certified? ABPS diplomates have to accurately state their certification in a clear way. You’ll probably see it on their business card or website. It’s a good idea to check on the official ABPS website too. You can search for your plastic surgeon by their name or location. If a surgeon misrepresents their certification status then it’s reported to the ABMS and possibly law enforcement too. All these abbreviations can be confusing, but remember that not all medical boards are the same! The American Board of Cosmetic Surgery (ABCS) is not recognized by the American Board of Medical Specialties. Many plastic surgeons consider it to be a lesser board compared to the ABPS. Doctors without specialized plastic surgery training, like general practitioners, can’t attain certification from the ABPS. Instead, they can go for a cosmetic surgery board like the ABCS. This can mean having fewer years of surgical training or different medical backgrounds. This doesn’t necessarily mean that an ABCS board certified doctor should be avoided. Researching your surgeon is a crucial step in getting a breast augmentation, so ask your surgeon about their credentials, experience and reviews from their past patients. Also, each state has a free website to search for disciplinary or malpractice claims against medical professionals. For example, you can search in California here and Florida here. Here's info on all the state medical boards with links to search for surgeons.